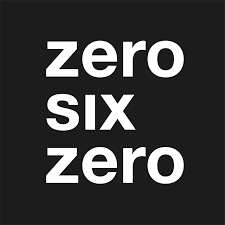 In spring 2017, half way through walking the length of Britain, I stayed with Sean Conway who had previously swam, ran and cycled LEJOG. While at that point my focus was on getting to the end of the walk, his world first length of Britain triathlon was bouncing around in my head. As I finished the walk looking out over the balmy Cornish sea I wondered if I could do a water based adventure too. 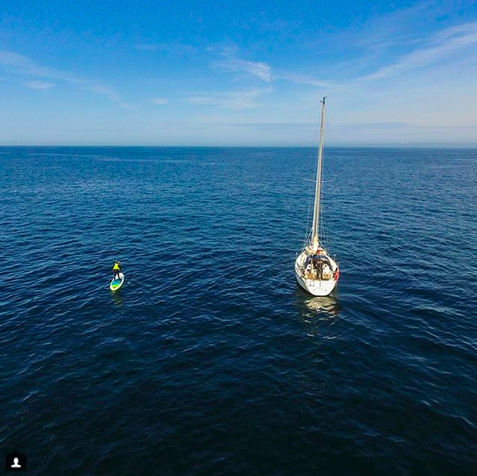 The main problem with this idea is my fear of the sea. It's not so much the vastness of it all that bothers me, more the massive unknown. I've never surfed or been into water sports. I don't know anything about tides or waves or what lies beneath. Both my parents and I nearly drowned when we were younger so I've never viewed the sea as an inviting adventure playground. As such I knew right off the bat that swimming it was out of the question, particularly after Sean's tales of jelly fish! But as I looked into it more I saw that no one had ever stand up paddleboarded it before. 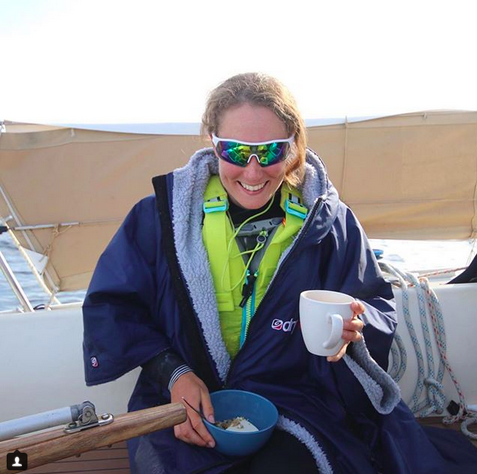 The idea of being the first really appealed - there would be no time to beat, I could just paddle at my own pace, dealing with my fear as I went and simply getting to the end would be enough. SUP Britain for me is my biggest challenge yet. I’m not a water baby. I’ve never surfed and have virtually no experience in the sea. 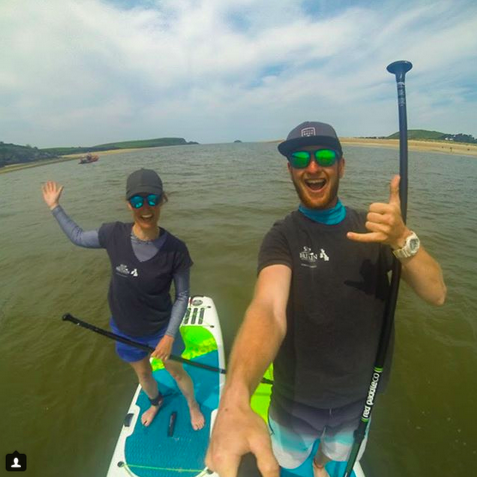 Having only stand up paddleboarded on the sea 3 times before this day, the idea of being out there for months with so many unknowns, paddling from Lands End to John O’Groats in an attempt to set 3 new world records, fills me with nausea inducing anxiety. Two weeks later and Liam and I were back at St Ives. 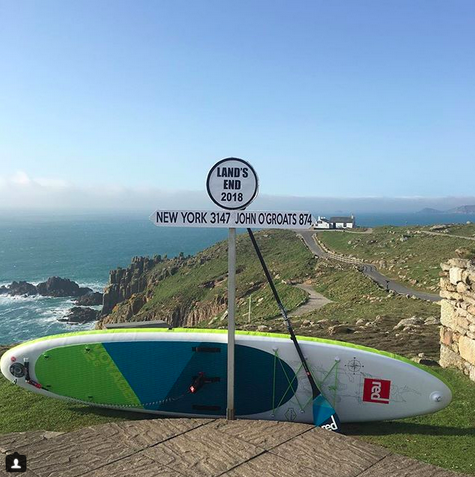 I set off on my SUP on 21st April from Lands End with a locally hired support boat and skipper (which cost an insane amount of money so I couldn’t do this for more than that first weekend). 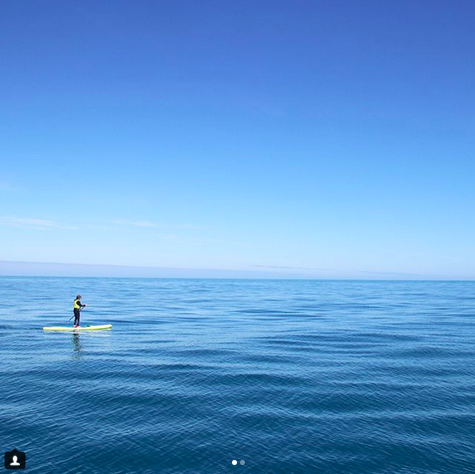 I managed to paddle round 20 miles in those first two days. 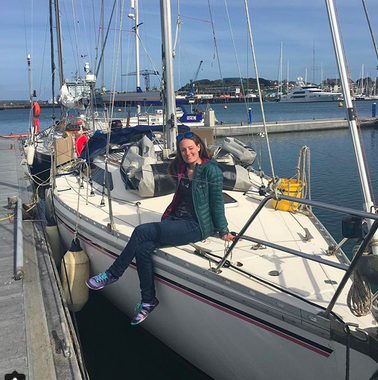 Since then I secured the finance to make the expedition happen and bought a 32ft sailing yacht as my support boat, despite not knowing a thing about boats or sailing. I couldn't be more proud of taking on such a scary adventure and coming out smiling. 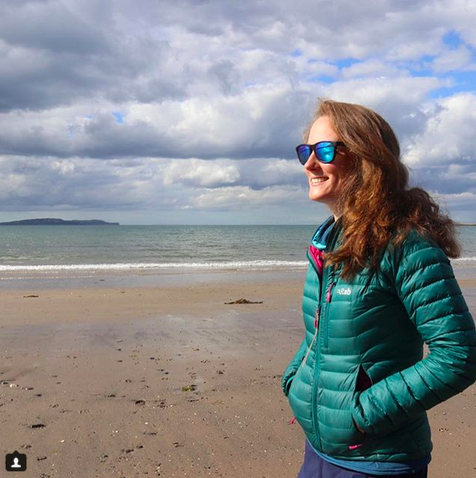 Against stiff competition, I was awarded the British Canoeing John MacGregor Outstanding Challenge Award 2018 in recognition of my dedication, commitment and impact on the sport through SUP Britain.